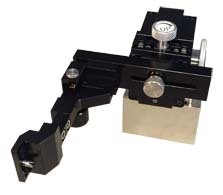 TP250 Precision Positioner combines TP300’s high-precision XYZ-stage and magnetic lock at the base, and TP150’s long probe arm and θ control. 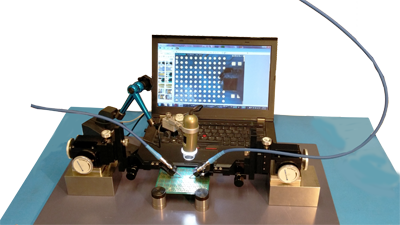 TP250 has high precision required for microwave and wafer probing and the versatility and ease of operation for PCB probing with or without components on it. Rugged, ergonomic design allows easy hands-free probing. 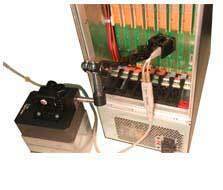 Flexible and ease of control allows probes to quickly reach test points of interest. 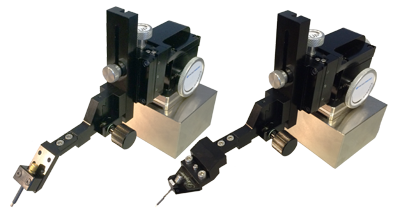 High-quality material and precision design ensure accurate and repeatable measurements. TP250 is designed with precise components and built with the highest quality; at the same time, it offers the most competitive price in the industry. 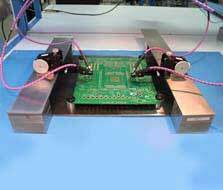 It can hold microprobes and PacketMicro’s rugged S-Probe and D-Probe with its own adapter. 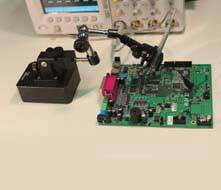 And to support vertical probing, TP250 probe arm can be turned sideways easily without using any tool.